What’s the most important thing in baseball? Box-Toppers projects the standings and win totals of all 30 teams. A look at how the 30 teams rank and compare going into 2019. A look at the 100 top players in Box-Toppers points since 1995, when Box-Toppers tracking began. A look at the 100 top players in Box-Toppers points last season. The top 10 overall players, plus the top 10 NL and AL pitchers and batters. Who led their league’s pitchers and batters in Box-Toppers points each season? Plus, further analysis of Box-Toppers points leaders. In a sprawling, scrolling chart, see the top 10 overall players for each of Box-Toppers’ 24 seasons, plus the top five or 10 players each season based on league, position and other factors. But what baseball statistic provides the fan an indication of the player who most contributed to the win? Logically, you might answer “the win” statistic, but it only applies to pitchers. Plus, in some circumstances, the win is not awarded to the pitcher most responsible for earning the win, but simply the pitcher who was in the game when the team took the lead. What is needed is a metric that will select the player—from among pitchers and batters—who most contributed to his team’s win. And that’s where Box-Toppers comes in. Using standard box score statistics, Box-Toppers uses a simple formula to determine a Player of the Game for each Major League Baseball game played. That player is the person who contributed most to his team’s win. Click on the graphic to see the step-by-step method of how Box-Toppers Player of the Game and Player of the Day honorees are determined. Further, in regular season games, players earn 1.0 Box-Toppers point for being named Player of the Game and can earn bonus points for being Player of the Day or top player or batter in their league for the day. So, Box-Toppers tracks who most helps their team win the most games. As the season progresses, a player’s Box-Toppers point total can be compared with other players to determine the best player on a given team, at a given position—or even the best overall player in the game. • He earned Player of the Game honors 21 times, giving him 21.0 Box-Toppers points. • Six of those times, in addition to earning Player of the Game honors, he also won American League Player of the Day honors, worth 0.7 bonus points each, giving him 4.2 additional total points. • Twice he earned overall Player of the Day honors in addition to earning Player of the Game honors. He earned an extra 1.0 bonus Box-Toppers point for each Player of the Day honor, giving him 2.0 more Box-Toppers points. So Snell received 21.0 Box-Toppers points for the times he earned Player of the Day, 4.2 points for the times he earned AL Player of the Day and 2.0 more for the times he earned overall Player of the Day, for a total of 27.2 Box-Toppers points. Snell’s 27.2 Box-Toppers points is the 12th highest single-season total since Box-Toppers tracking began in 1995. Fittingly, Snell won the 2018 American League Cy Young Award. But the Box-Toppers points leader among National League pitchers, Max Scherzer of the Nationals, did not. Scherzer had 25.1 Box-Toppers points, second among all players, behind Snell. But Jacob deGrom of the Mets, who had 16.8 Box-Toppers points, third among NL pitchers, was awarded the NL Cy Young. Christian Yelich of the Brewers, who led NL batters in 2018 with 11.5 Box-Toppers points, won the NL Most Valuable Player award. However, J.D. Martinez of the Red Sox, who led AL batters with 12.5 Box-Toppers points, did not win the AL MVP. That went to his teammate, Mookie Betts, who ranked second among AL batters with 10.9 Box-Toppers points. 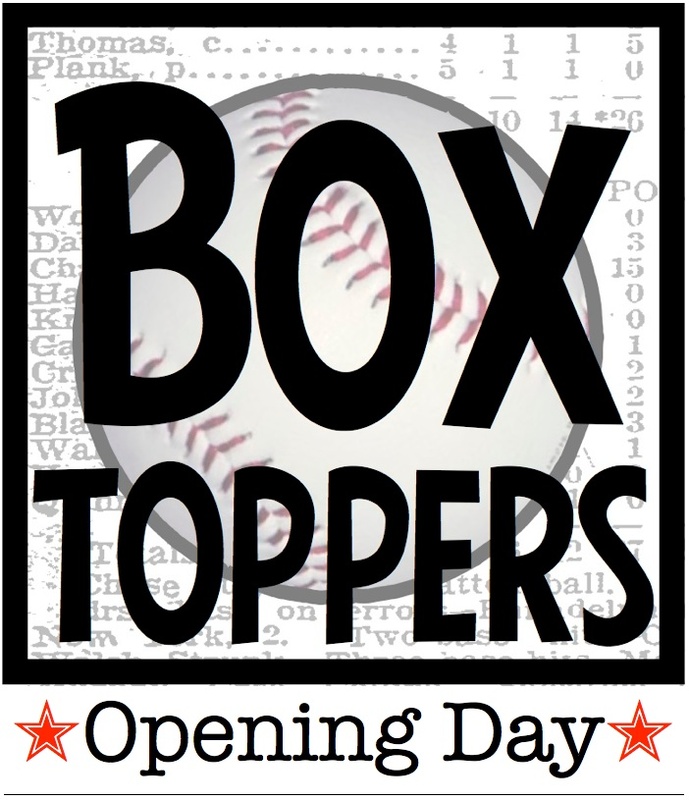 While the Box-Toppers metric has been used since the start of the 1995 season to track players, this is the seventh season for the Box-Toppers.com website. Box-Toppers’ first blog post was six years ago on March 25, 2013. On the website and the blog, Box-Toppers will track each day’s games, showing each game’s Player of the Game and the top overall Player of the Day. The website will also have regular posts weekly of overall Box-Toppers points leaders and team standings. These are usually posted on Fridays and will likely start a few weeks into the season as enough data is available to begin showing meaningful trends and results. Box-Toppers will also have posts at other times as interesting Box-Toppers-related statistical nuggets are uncovered. On Twitter and Facebook, we’ll include shorter posts about newsworthy players, their standing in Box-Toppers points and often, how they compare in the stat to other players. Stay up to date with Box-Toppers at the website, on Twitter, Facebook and through the RSS feed.